Ice caves in Iceland: the dream that becomes reality. But only respecting a few rules to be safe and truly enjoy the experience. Visiting the ice caves in Iceland is, in fact, a unique experience and it allows you to see the country as much as possible, understand its geological structure and above all understand what is happening to our planet. Without forgetting that it is a complete immersion in nature, which reconciles and certainly makes (re) discover the pleasure of silence. For you some information to plan your visit to the ice caves in Iceland and, in the end, my experience with Glacier Adventures in a really incredible and extreme tour (with a video, as well). How are the ice caves formed? 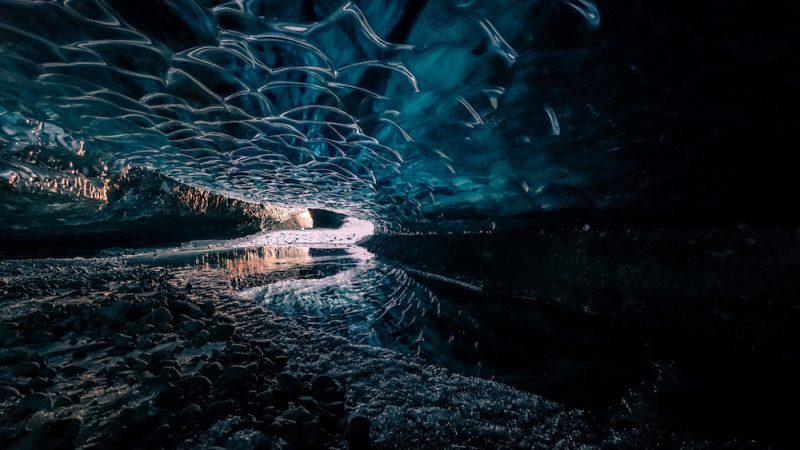 The frozen caves are only formed in winter, when the water that comes down from the glaciers in summer, due to the melting of the snow, solidifies for good. Every year there are different caves that can be more or less spectacular, more or less accessible and above all more or less safe. A cave can disappear at any moment and it is for this reason that at the beginning of each winter there are some real surveys to check if the caves of the previous year still exist, if they can be visited and therefore safe or if they are disappeared, replaced by others that are tested in the same way to understand their safety. 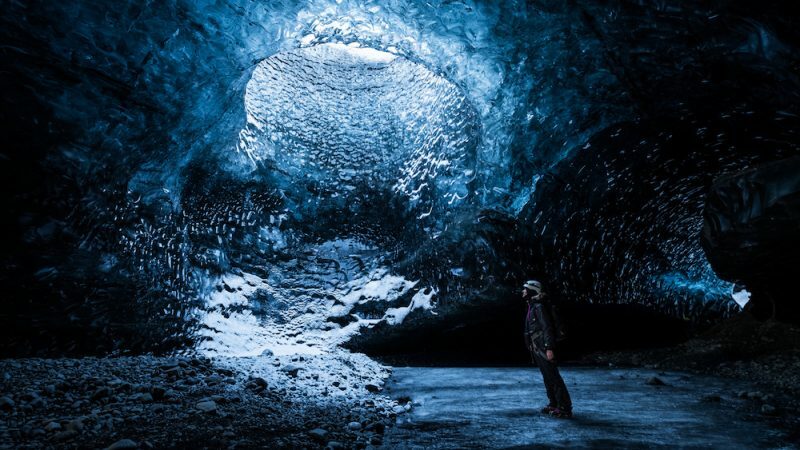 Where are the ice caves in Iceland? The ice caves are formed along the front of the Vatnajokull glacier, which extends for km and km in Iceland. There are many, but many of these cannot be reached even by experts because they are too unstable. Why are the caves always referred as Blue Caves? The name is due to the color of the crystallized ice that, getting in contact with the sunlight, takes on characteristic colors ranging from light blue to deep blue. The play of colors is so spectacular and peculiar that it makes the ice caves in Iceland a place loved by photographers. What it the best time of the year to visit the frozen caves? Winter is the only season to visit the ice caves in Iceland: visits are interrupted around March but, if the season is particularly hot, they can be interrupted even before. In spring, summer, and autumn you can take part in excursions on a glacier but you can not go down in the caves. Can I visit the ice caves independently or do I always need a guide? Although there is no regulation that forbids you to visit the ice caves independently, having the support of a certified and knowledgeable guide is essential. The snow and the ice are fascinating natural elements but at the same time they can reserve unpleasant surprises if you are not careful and visiting the belly of a glacier on your own, and maybe without the proper equipment, it can lead to unpleasant situations. Please also note that there are several tour operators with which to visit the ice caves and which offer excursions of varying length, in relation to the purpose of the visit; according to the chosen tour, the caves that you visit change from the most accessible to the less accessible (read under my extreme experience!). In any case, the authorized guides will provide you with helmets and possibly picks, ropes, and specific equipment if, like me, you will be part of an extreme tour. Remember also that participating in an official tour is also a way to reward those who, every year, make available to discover the new caves and make them accessible: you can do everything yourself, at your own risk, but with a guide, everything is more beautiful! How do you get dressed to visit the ice caves? But since there are several tour operators that allow you to visit the caves, and each of them is specialized in tours more or less long and heavy, I suggest you consult the tour operator you have chosen to get advice from them: in the case of my tour, of which I will tell you below, the total duration was 8 hours and also included climbing and a 2-hour hike on the first leg and 2 on the return so I wore everything I recommend but because the day was particularly hot rising, I literally took off my heavier clothes. Who can visit the ice caves in Iceland? To which instead I would recommend one of these other adventures, much more affordable and simple. My Blue Ice Cave Adventure Tour with Glacier Adventure is considered one of the most extreme and difficult tours. The estimated duration is in fact from 5 to 7 hours but on average it takes 8 hours to do everything: it is a combination of hiking, climbing and visit to the caves in groups of up to 8 people, all with specific focus on photography (ie photographers!). The starting point is the hotel and restaurant Hali where you have to be at least 15 minutes before the departure of the tour, scheduled twice a day all week (except for problems with the weather, which can lead to sudden cancellations with a refund of the amount paid). 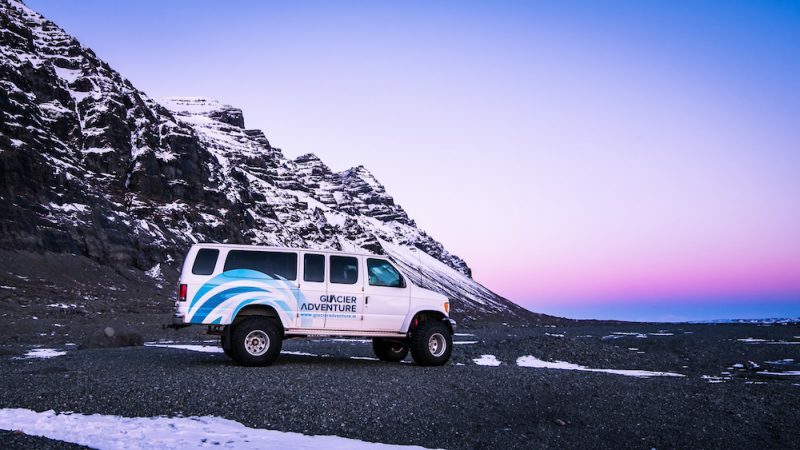 Before the climb, about 30 minutes are spent on an off-road vehicle to reach the base of the glacier on which it will climb, followed by a detailed explanation of the equipment that will be used and the safety rules. The 3 km of hiking and climbing one way can be quite strenuous because you walk and climb on ice, equipped with helmets, crampons, ropes and other equipment and, fundamental, the group must be cohesive and go hand in hand because you walk in single line following the path traced by the guide; if only one person can not manage it, then the whole group stops and if a person is forced to go back, the whole group returns. This is why it is a tour for experts, just to avoid problems related to the inexperience of the participants. Once you reach the top, visit an ice cave, but if the weather permits and conditions are optimal, you can also visit a second one. 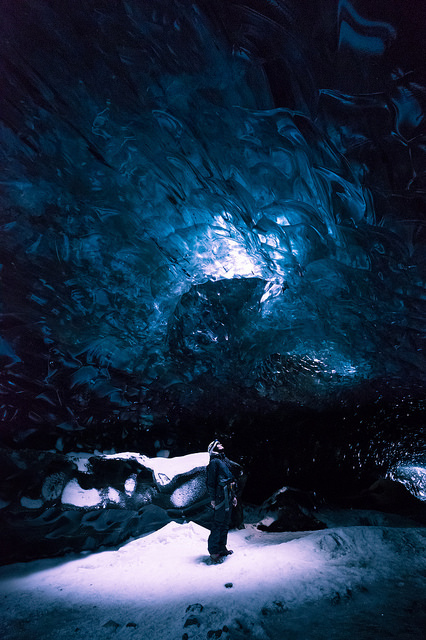 We have had the opportunity to visit both the Lightroom Cave and the Treasure Iceland ice cave and since the weather was beautiful (February 2018) we could stay a little longer to enjoy the surroundings. Please pay attention here: no access is guaranteed, even once you get to the top, if the guides consider the caves to be unsafe. Keep in mind that instability can occur at any time and the stability of a cave can change overnight, without warning. So, if this happens, the only thing is to take it with philosophy and enjoy the scenery. Once inside the caves, you must always follow the directions of your guides (2 for 8 people) that explain where you can stop, where to pay attention and where to avoid putting your feet. Since this is a photographic tour, your travel companions will all be equipped with instrumentation and therefore the purpose of each participant will always be not to hinder the activities of others: drones are not allowed because in Iceland to pilot a drone is a special permit is required. Be careful and follow the guides is essential to avoid accidents in the process: if they tell you that you do not stop to take pictures, it means that there is a reason why you can not stop and insist it will not change things. Price wise, because of the valuable experience and the fact that the groups are small, not to mention that it is a very long and quite tiring tour, the cost is not low: 34000 ISK per person in 2018 (275 euros / 338 USD). Super recommended for those who love photography, nature but also challenges. More information and reservations by clicking HERE. Make sure you book way in advance ’cause since there are very limited spots, this tour is always fully booked by photographers. 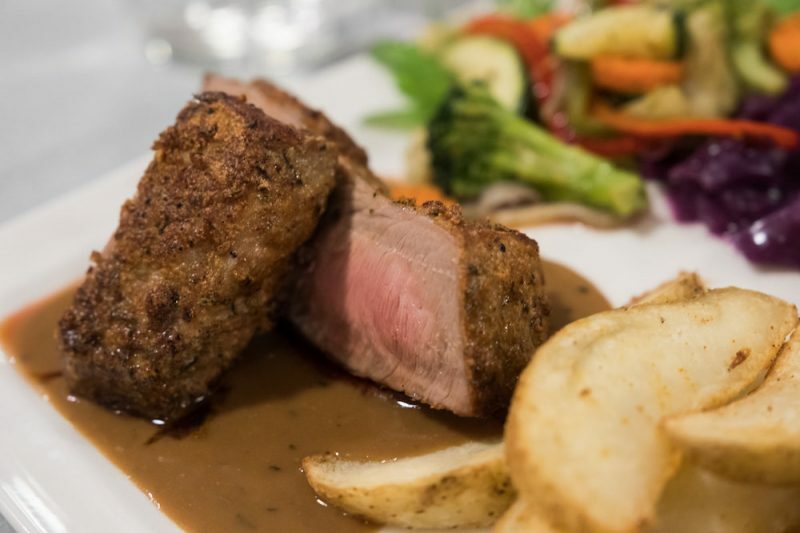 My extra tip for you: on the return from the tour (this or one of the many that the guys of Glacier Adventure organize) I suggest you stop for dinner at the Hali Restaurant where you can taste the excellent lamb raised on the adjacent farm and a delicious chocolate cake.